We are now offering a FREE pair of single vision standard lens sunglass lenses when you buy our new Hoya Lifestyle 3 Varifocals. The Lifestyle 3 varifocals use the most up to date technology to create a lens offering optimal vision, wide field of view and amazing comfort. This premium lens with top of the range antiglare coating costs £299. 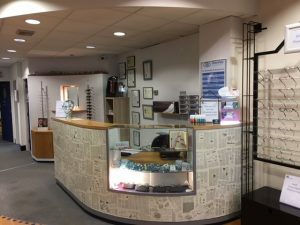 When you purchase them we can offer you a FREE set of amplitude trueform varifocal lenses OR a FREE set of single vision sunglass lenses. Frames can be purchased to go with these free lenses from just £20. Get yourself premium varifocals AND a spare pair of varifocal lenses or single vision sunglass lenses for FREE! Is your vision good enough to drive?